As well as completing their homework during 45 minutes' of supervised prep, your child is kept busy enjoying fun-packed evenings. Free swimming, water polo, tennis, football, uni-hockey, board games, jewellery making, art and craft are just some of the activities boarders choose to do after supper. Themed suppers or Dinner Nights twice a term are celebratory: the dining room is decorated, the children dress up and unusual new foods are tasted. 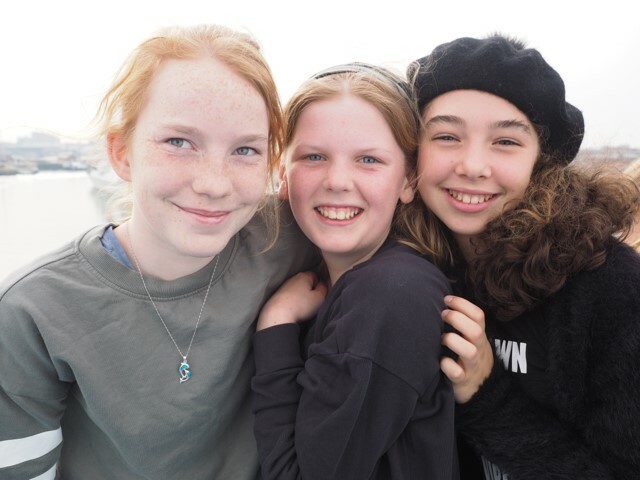 As well as full boarders, other children choose to stay in at weekends because of the warm, friendly atmosphere and the opportunity to have the grounds and facillities to themselves. 'Ready Steady Cook', barbecue parties, 'Farleigh X Factor' competitions, theatre trips, magic shows, bowling, Chinese takeaway nights, sketch shows, a 'play in a day' or simply organised games and activities in the school grounds. Boarding at Farleigh is fun and offers endless opportunity. Your child has daily access to email and can keep in regular telephone contact too. Parents are kept up to date with a weekly email, which includes news and other information.